The socioeconomic status (SES) is as a symbol of social determinants of health which has a dominant influence on population health. The purpose of this study was collecting, weighing, and determining the most relevant SES measurement items in Iran. The SES health studies conducted in Iran was searched from 2007 to 2017. First, the SES items were categorized. Then, each item was weighed based on its reliability and generalizability. Finally, the necessity of items was determined, weighed, and ranked. This is the two-round Delphi technique. After weighing 57 SES items, 37 items were selected with ≥ 1 weight and classified in 7 categories. According to the Delphi evaluation, 15 items were identified ≥ 3.5 for measuring SES of Iranian households: household size, head of household education, head of household job, household monthly income, type of school that children attend, house ownership, local value of residence, number of rooms in the house, house area, personal computer/laptop, smart cell phone, 3D TV, dishwasher, microwave, and car ownership. The SES items for the present society are categorized in 7 domains. The items collected in this study have the most comprehension of all studies related to income, life facilities, and assets. Our understanding of health and its social determinants has been deepened and is comparable to past decades. Nowadays, social determinants are considered as the key factors of health quality and play an important role in the macro concept of health. These factors along with health services directly or indirectly can influence the health status of people in communities. Each of the social determinants of health such as income, education, occupation, nutrition, and the social class have a much larger role than biological factors in human health. The socioeconomic status (SES) is the most influential determinant of health [1, 2]. SES is a complex and multidimensional construct, which requires a standardized format of measurement for each community. That is a concept that is used not only to measure social components of health but also to measure socioeconomic inequalities of health . Generally, SES is defined as the position of an individual or of a household within a society. It is a combination of occupation, education, income, wealth, and residence neighborhood [4, 5]. Given the above-mentioned issues, building of an appropriate tool for measuring SES can be a significant contribution for planning and policy-making in health system, both at micro & macro levels . In developing countries, the SES survey is a challenging issue in data collection for assessing and monitoring health equity. Therefore, researchers have concluded that development of a structured format for each society is necessary for SES measurement . Reviewing studies performed in Iran and additionally based upon a systematic review conducted by Mahdavian et al. , there is a tremendous discrepancies in measuring SES method. Due to such diversities and given the important role of SES in health studies, there is a need for a unified tool to collect socioeconomic data for an each community based on its specific circumstances and its level of technology development. Plus, the SES measurement tools are dynamic, i.e. an item that can be a household SES indicator for a population at a period of time may not be applicable later on. In other word, ever-changing quality of life standards may discredit an SES indicator that was valid an earlier time. This study has tried to collect and edit a set of most appropriate items that could well represent the SES criteria for the Iranian society. These items can be used for development of SES measurement as a tool applicable for related researches in different dimensions. Furthermore, it can provide a unified platform to compare the results of different studies. In addition, this study gathered, weighed, and determined the necessity of items for measuring the SES for Iranian society. The mixed method of review study and Delphi method was applied. A critical review was carried out to collect items used for measuring SES in Iran. The items were weighed based upon the validity and generalizability of the extracted item. The weighed items were ranked based upon the experts’ opinion. A literature review was performed in PubMed database covering during 2007–2017 using the following keywords: SES, socioeconomic factors, wealth, welfare, asset, tool, develop, instrument, measure, and Iran. Appropriate operatories (AND, OR, NOT) and appropriate filters were used to focus the search goals. A search for articles published in Farsi was performed using of the above-mentioned keywords in Google Search Engine. Full text of articles was reviewed in the health field that looked on SES items. Backward search was also considered for original questionnaire. The extracted SES measurement was entered in a table and categorized in 7 socioeconomic domains, such as: (a) demographics, (b) purchasing ability, (c) employment status, (d) literacy/education, (e) housing and accommodation status, (f) home appliances, and (g) personal assets. By designing an Excel spreadsheet, the frequency of each SES item was presented for an individual paper. 1 point: The strong statistical method of Principal Factor Analysis (PFA) or Principal Component Analysis (PCA) was used to validate the SES items. 0.6 point: Validation of the SES items was evaluated using an experts’ panel. 0.5 point: If the article cited another article with an appropriate validation method. 0.3 point: When only internal consistency of items was assessed. 0.1 point: When the validation technique was not clear. the studies that were conducted in less than half of the provinces of Iran, scored as 0.25 point. the studies that were conducted in more than half of the provinces of Iran, scored as 1 point. The weight of each study was calculated through multiplication of validation score by generalizability score. The weighed items were added to the excel table. Then, weighing of each item calculated by sum of the scores recorded for each article in the excel table. Next, the items that were weighed higher than score of one—assuming that there was at least one validated article about it—were selected to get experts opinion. In order to determine the final SES items, the two-round Delphi method was used to obtain structured experts’ opinions, based upon the five-point Likert scale. A comment section was also provided for further explanations. After receiving the first round of Delphi method, the percentage of Likert scale was calculated according to expert responses for each SES items. Afterward, the unique filled questionnaire which contained the percentage of experts responded to each Likert score with their comments were returned for the second round of evaluation. It is of statistically significance to provide each individual expert opinion visible for all other experts. This has the advantage that experts can freely revise their first round opinions in the second round of evaluation, as well, increasing the dependable face validity. Initially, 15 experts for Delphi method were selected using purposive and snowball sampling techniques based on their experience in the related subject. Finally, 11 experts accepted to participate in the study. The composition of the group was from a wide range of academic affiliations: 4 public health specialists, 2 health economists, 1 health policy specialist, 2 healthcare managers, and 2 socialists. After reviewing the titles, abstracts and full-text of the articles, 60 related articles were selected. It contained 45 English articles from PubMed database and 15 Farsi articles from the Google search engine. Items that were used to measure SES in selected articles are listed in Table 1. Number of family, % of individuals literate in family; % of individuals with employment in family, % of family members are students, car, access to the Internet, accommodation size, numbers of rooms, kitchen, gas pipe lines, house ownership, motorcycle, bathroom, effluent system, existence of disabled individual in the family. After removing duplications, 57 items were categorized in seven domains: (I) Demographic, (II) Purchasing ability, (III) Education, (IV) Employment, (V) Housing status, (VI) Home appliances, and (VII) Personal assets (Table 2). After weighing the mentioned items, the above items were decreased to 37, if they received one or more point weight (≥ 1). Among 37 items, the ones that gained the score higher than the median of 3.5 based upon the consensus within the experts’ panel opinions, were set as the basis of selection. That concluded with 15 items suitable for SES measurement. These items included: (1) household size, (2) head of household education, (3) head of household occupation, (4) household monthly income, (5) type of school that children attend (public/private), (6) House ownership, (7) Local value of residence, (8) Number of rooms in the house, (9) House area, (10) Personal computer/laptop, (11) Smart cell phone, (12) Three-dimensional television, (13) Dishwasher, (14) Microwave, and (15) Car ownership. The items of this study were related to indirect indicators and assessed beside the direct indicators of assets. While reviewing the literature, three studies were only found used a close approach to the present study method. Abubakri et al. developed and validated a questionnaire for assessing SES in urban households for health studies. They chose SES items from international literature and used the expert panel’s opinions for adjustment. In their questionnaire, personal vehicle was the only item scaling the asset. However, the present study selected the SES items from national studies performed for Iranian community. Further, some indicators included in this investigation have a special emphasis on many other asset indicators. Another study concluded that 6 items out of 33 items of the household cost-income questionnaire, established by the Center for National Statistics of Iran (CNSI), were sufficient for measuring the SES of Iranian households . These items comprise of: kitchen, bathroom, vacuum cleaner, washing machine, freezer, and personal computer. In fact, this study considered asset items much limited to those of the CNSI’s questionnaire and no gold standard was used to compare the results of regression analysis. In a questionnaire designed by Garmaroudy et al. six items were used to identify SES items of householders in Tehran, including: head of households and his spouse education, area and price of house, personal vehicle, and computer set. Of these items, only two items were directly related to assets, and two-thirds of the total weight of measurement tool was allocated to education. Needless to mention that education has less quantification value for SES evaluation. In the above-mentioned studies, with the exception of one study , the SES measurement tools have been developed and validated by focusing on either a specific subgroup of population or an international community, not for a nationwide model. Therefore, their results cannot be generalized to all Iranian households. On the contrary, this study has pointed out the comprehensive items that not only structured for this public but also can be applied to nationwide Iranian households. It is of significance to mention that SES is composed of different dimensions and domains that may change or lose their validity over time. However, this fluctuation is not similar for all defined items. In other word, there are items that are more dependent to technology and are consequently subjected to change their creditability, accordingly. For example, based upon a study that conducted at one time cell phone was a luxury device and in a later time becomes a standard life accessory. Another example is the internet accessibility which is rapidly expanded for public use during the past decade. 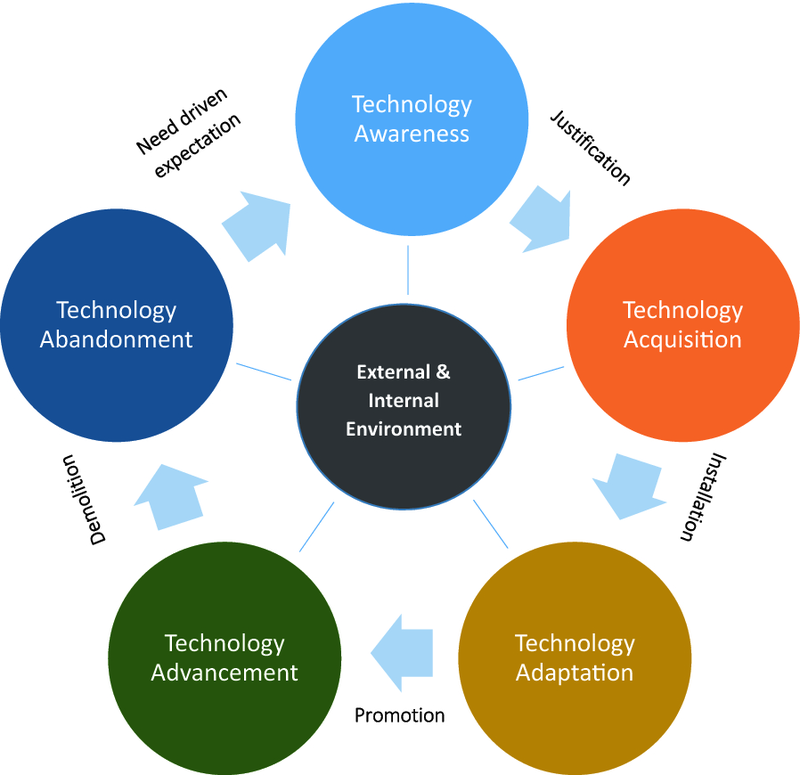 This is socially recognized as technology acquisition and technology advancement  (Fig. 1). This highlights the need for renewing the SES measurement tools, including the combination of items used in the tool, at appropriate time intervals. This issue is applicable to the findings of this study in the future, as well. To develop a more precise measurement tool, there are a few points that should be taken into consideration. First, the items about area of the house, household income or the number of rooms in the house should be adjusted based on the number of household members. Second, due to the nature of some jobs in the community, such as day-labor or farmer, it is preferable to refer the annual income rather than monthly income. Also, the number of jobs that people may be occupied with should not be neglected. Third, the concept of residence should not be limited to a rental home since the ownership of other residentials, commercial unit, or a vacational residence. Fourth, the regional-value of residential location should be concomitantly considered with the house area. Therefore, the house price and rent can be one of the functions of the economic value of the residence area. Fifth, assets such as: vehicles, laptop, smartphone, 3D TV, dishwasher and microwave fall into different price categories due to their various features and brands. As such, the price of a selected utensil may place from a very low to very high range of a price. Thus, structuring an inclusive SES questionnaire requires more in depth queries. This study comprehended fifteen items were collected in this study in 7 domains for SES criteria as a dependable measurement tool for Iranian households. Obviously, as the technology changes over time, the SES measurement tools are required to be revised. The methodology used in this study provides an on-going basis for updating the SES tools. The present study faced with some limitations for implementation. First, there was limited number of articles structured with a well-designed study for SES evaluation. Second, the limited number of publications in our national level did restrict the authors for designing a solid study. SS was the main operator of the study was the manuscript preparator; SY designed the study and monitored all steps of the study; MJ was the co-designer of the study; AHZ designed and monitored all steps of the study, and prepared, edited, and finalized the manuscript. All authors read and approved the manuscript. This manuscript is submitted as a partial fulfillment of the requirement for PhD degree in Community Oral Health. This article is originated from a part of dissertation registered under #643 at the office of Academic Affairs of Shahid Beheshti University of Medical Sciences School of Dentistry. The authors confirm that the data and material is available for any further interpretation, replication and building upon the findings reported in the article. IR.SBMU.RIDS.REC.1396.447 [Based upon the regulations, to obtain the above registration number, each research project, regardless of the structural design (literature review, human study, or an animal study) should be submitted to the office of Research Affairs for approval. If approved, the office of Academic Affairs after an official process (operators’ evaluations, etc.) assigns a registration number, as above. Thus, the Ethical Approval is part of the preliminary approval, as well]. The authors state that there is no funding for this study and publication of the article.